PRESIDENT-ELECT Emmerson Mnangagwa yesterday dared his opposition MDC Alliance counterpart Nelson Chamisa to prove the vote-rigging claims at the Constitutional Court (ConCourt), setting the stage for a bruising legal battle. Chamisa last week filed an election petition challenging the presidential results at the ConCourt. Mnangagwa, in his founding affidavit submitted to the ConCourt by his 12-member legal team, trashed Chamisa’s application, saying it was not bona fide, but simply meant to delay his inauguration as the duly-elected President and to also find an opportunity to make a political statement in court. Mnangagwa also dismissed as false claims that the youthful opposition leader had won the just-ended presidential elections, adding Chamisa himself had conceded defeat in his papers before the same court. “It is crucial to note an important admission made by the applicant (Chamisa), the schedule (which is in fact annexure D) that he refers to shows ‘… discrepancies between the votes announced by Zec [Zimbabwe Electoral Commission] and the actual tallies derived from V11 and V23 data’. In terms of the actual tallies derived from V11 and V23 data provided by applicant, he received 2 151 620 votes equating to 44,4% of the total votes cast and I received 2 455 559 votes, which equates to 50,7% of the votes cast. This is not correct, but even if it was, (which is denied) that would still be enough for me to win the election,” Mnangagwa said. “… The applicant has not mounted this application for the bona fide purpose of setting aside the results of the presidential election conducted on July 30, 2018. Instead, the intention was to delay my inauguration as the duly-elected President of the Republic of Zimbabwe and to make political statements in court. Mnangagwa said Chamisa made unsubstantiated claims that he suffered overall prejudice of 345 784 votes due to “… polling station specific cases of voter intimidation, voter coercion and/or otherwise potential manipulation”. The Zanu PF leader said there was nothing in Chamisa’s source documents to support any allegations of voter intimidation. “In fact, the ‘expert’ in his own report first states that there was an overall prejudice of the applicant of 305 784 votes (which is denied) and then without explanation changes that number some few paragraphs later to 345 784 votes,” he said. Mnangagwa further said Chamisa’s intention was to create doubt in the minds of people as regards the integrity of the process and, in so doing, “undermine the presumption of a due return contemplated by section 93 of the Constitution, without discharging the requisite onus and, invite condemnation of the court for resolving matters on the technical objections he had deliberately invited”. Turning to Chamisa’s claims that the V11 forms had been tampered with and figures changed in favour of Zanu PF, Mnangagwa said the opposition leader did not provide proof to substantiate his claims. “The application is premised on alleged mathematical anomalies which have no factual foundation. The lofty conclusions made by the applicant are unsubstantiated and completely unbelievable. The supposed experts, whose affidavits the applicant relies upon, do not help the court at all,” Mnangagwa said. “The applicant makes bold and serious, yet unsubstantiated allegations of electoral fraud, criminal connivance in the alleged forgery or creation of non-existent votes. The principal allegations made are of a criminal nature. The threshold of proof is that of proof beyond a reasonable doubt,” he said, adding: “The primary and original entries are forms V11. These were made and verified by all candidates’ agents at the close of polling and posted outside each polling station. It was upon the applicant to place before the court complete and regular forms V11 for all the polling stations. 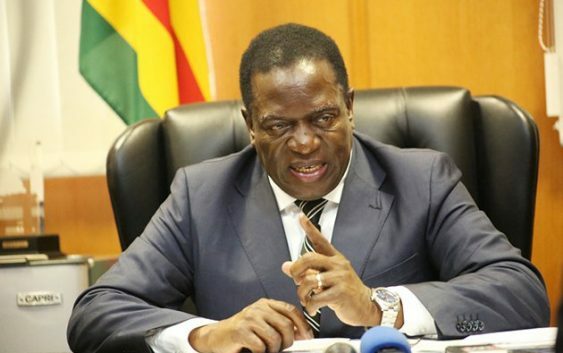 Mnangagwa further said the MDC Alliance leader ought to have filed an Electoral Court challenge seeking to reopen the ballot boxes for the purposes of verifying the figures as well as recounting, if his claims that the election was rigged were true. “The suggestion that the evidence that is not now available will be subpoenaed by separate process is without legal foundation. Steps must have been taken immediately after the closure of polls and the sealing of the election residue to secure the same, and for the reopening thereof for the purpose of an election challenge,” he said. The Zanu PF leader further said Chamisa had simply filed the court application to stage-manage an electoral fraud, and was merely attempting to draw sympathy from other opposition politicians, who were now allegedly withdrawing from the MDC and going back to their original parties. “… The MDC Alliance is faced with imminent implosion and disintegration with each party leader taking away what they brought into the coalition and maintaining their original identities. The applicant’s former MDC-T is now firmly in the hands of eighth respondent (Thokozani Khupe) … the applicant has no original identity to revert to. He will be left in that event with no party, no name, no identity, no structures and, no members. He is desperate,” Mnangagwa said. He said his nemesis would have a tough time to identify the alleged ghost voters, which the latter claims were allowed to vote when they were not eligible. “The applicant suggests that people who were ineligible to vote were registered to vote, but makes no effort to show who those people are and where they can be found. This is startling, as the registration of non-citizens is a serious matter. The applicant makes reference to discrepancies which are ‘extrapolated’ to leave 650 000 voters missing. Despite posting this number, the applicant fails to explain why it is that there is no corresponding large number of people that were turned away at the polling stations for not being registered,” Mnangagwa said. “… The allegation ‘that returns were not posted at 21% of polling stations is one that makes a large part of the applicant’s case. It is also one that sounds, on the face of it, to be quite serious. It is also the one that informs another allegation that after elections, authorities tried to force polling agents to sign blank V11 forms, presumably to cover up for the missing ones. Mnangagwa further said he won the election because he had put in place strategies that worked in his favour as opposed to Chamisa, who chose to rely on people who attended his rallies, but did not vote for him. “The MDC Alliance had no clear campaign message or strategy. It operated in auto blind mode … the applicant got intoxicated by crowd euphoria and conceived that there was only one possible outcome from the election. He boasted that not even a run-off was possible … he had promised his supporters in his campaign that he would quit politics if he lost to me. He was so consumed with self-confidence that he even pledged his sister to me if I got 10% of the vote,” he said. CHAMISA’S COURT CHALLENGE AGAINST MNANGAGWA election victory will be heard on the 22nd of August 2018 at 10:00am. ‘ALL RESPONDENTS SUPPORTING RESPONDENT CHAMISA WILL NOT BE ALLOWED TO MAKE SUBMISSIONS but court will only accept submissions from all respondents , supporting Mnangagwa-CHIEF Justice Luke Malaba.